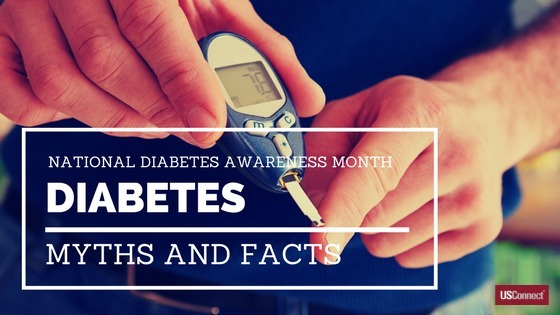 November is National Diabetes Awareness Month, so for today’s post, we want to dispel some myths—and share some facts—about this oft-misunderstood disease. Fact: The term “diabetes” actually encompasses several different illnesses: type 1, type 2, gestational, and pre-diabetes. 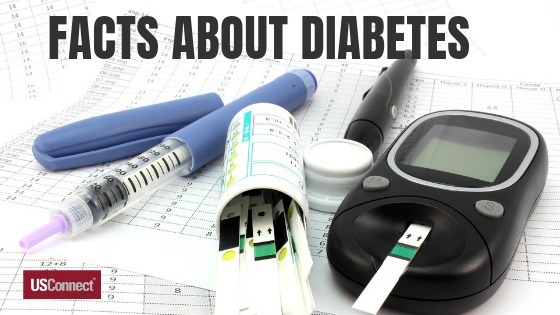 Type 1 and type 2 are the two main types of diabetes, and they both affect the way the body regulates its blood sugar (also known as blood glucose) with the hormone insulin. Insulin is produced by the pancreas. Gestational diabetes (a temporary disease that sometimes begins during a woman’s 24th week of pregnancy) and prediabetes (when the body’s blood sugar is higher than normal but not yet high enough for a type 2 diagnosis) are both types of type 2 diabetes in that they affect how the body uses insulin, not how the pancreas creates it. Myth #2: Type 1 and type 2 diabetes have the same treatment. Fact: With type 1 diabetes (T1D), the body doesn’t make enough insulin, while with type 2, the body doesn’t use insulin properly (also known as insulin resistance). Consequently, people with T1D need to inject insulin into their bodies, either with a pump that’s attached to their body or with shots throughout the day and night. Type 2 diabetes, on the other hand, can be managed with diet and exercise, or sometimes with medication. Myth #3: People get diabetes from overeating or from eating too much sugar. Fact: While poor diet and lack of exercise are indeed risk factors for developing type 2 diabetes, several other factors, like genetics, come into play. Lots of people live very unhealthy lifestyles without ever developing diabetes, while others eat healthily and exercise regularly and still get it. There is no lifestyle component to developing T1D; it develops most often in childhood (it is often called “juvenile diabetes”) and seems to develop as a result of some combination of genetics and viral exposure. Myth #4: People with diabetes can’t eat any sugars or starches. Fact: People with both type 1 and type 2 diabetes can certainly eat some sugars and starches (carbohydrates, which are turned to sugar in the blood). However, they need to watch their sugar and starch consumption and potentially counteract it with insulin. USConnect’s The Right Choice for a Heathier You™ program helps people see detailed nutritional information so they can make informed choices about what they eat.